The Jaguar E-Pace is the compact Jaguar SUV we've all been waiting for. Now it’s finally here, we love it! For any Jaguar die-hards out there groaning at the thought of the British car company heading down the SUV path, let’s not forget the F-Pace quickly became the firm’s best-selling model after its launch. 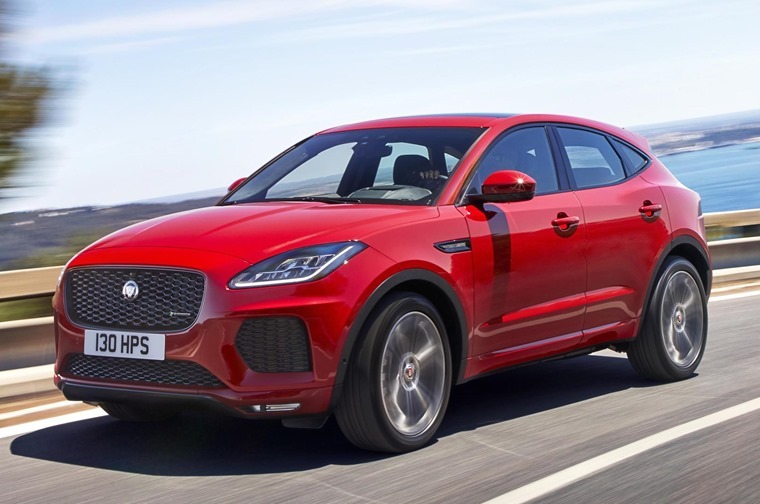 The E-Pace is expected to take over that mantle and it’s easy to see why when you could be behind the wheel of a Jag off-roader from the same sort of money as a much less premium brand. That’s the business case, and it’s a very sound one, but what about the reality of the E-Pace? First thing you’ll need to get used to is explaining that, no, it’s not electric because it’s not an I-Pace. Maybe it’s to do with the obsession with all things whizz-bang new in the world of cars being battery-powered, but during our time with the E-Pace we answered this enquiry many times. Having driven the I-Pace, there are similarities in size and cabin space between the sister models, but given the petrol- and diesel-engined E-Pace can be had for half the money, that’s where the comparison ends. So, back in the E-Pace, we find a compact SUV offered with front- or four-wheel drive depending on which model makes your cat purr. 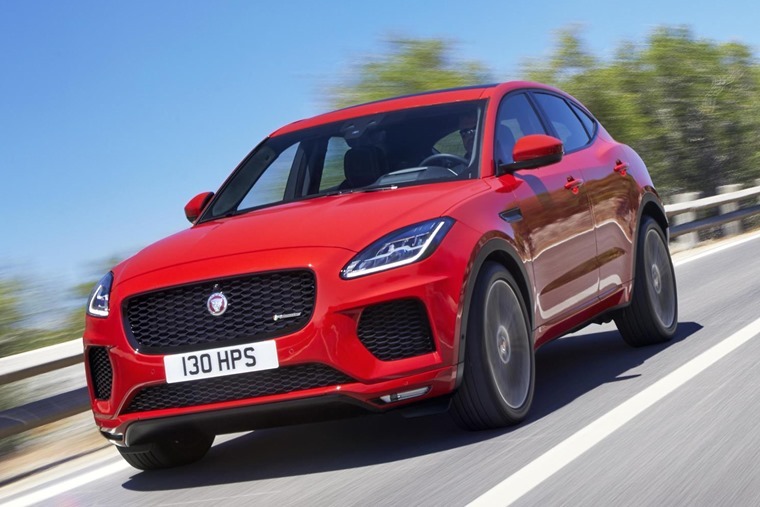 Jaguar claims the set-up in the all-wheel drive models is deliberately designed to give a rear-wheel drive feel similar to the arrangement in the F-Pace. Where the larger model succeeds in this, the E-Pace doesn’t and it just feels like a very neutral, front-drive biased SUV along with almost every contender in the sector. No bad thing given four out of five E-Pace drivers will be new to the brand and most will arrive out of a front-wheel drive car. Also, there’s no shame in having a car that doesn’t ape the rear-drive feel of the likes of the XE or XF. After all, the E-Pace is not a sports car but a higher-riding SUV. Thankfully, Jaguar has not lost sight of its core values when it comes to how the E-Pace conducts itself along the usual crazy paving that makes up the UK’s road surfaces. On any type of road, the Jag remains smooth and unruffled in its progress, which makes the cabin a very pleasant place to spend any journey. There are none of the niggles and jiggles you can experience in some small SUVs, especially those that espouse a sporty bent. Even on the 20in alloy wheels of the First Edition model we tried, the ride remained impeccably composed. Rides and steers very well, and it corners better than most. The same can be said of the handling. Jaguar may want us to think it’s got a rear-drive, dynamic set-up, but the reality is the E-Pace gets on with going round corners in a competent, unflashy manner. There’s less body lean than in most others in this class and the steering offers more feel and communication than the likes of the Audi Q3 or Lexus NX. So, the E-Pace rides and steers very well, and it corners better than most, but what about performance? On the diesel front, there’s a trio of four-cylinder 2.0-litre motors comprising 150-, 180- and 240hp units. The least powerful is only offered with front-wheel drive and is probably best avoided unless you simply want the cheapest route into E-Pace leasing. It comes with a six-speed manual gearbox that has a decent shift action, but most buyers will prefer the nine-speed auto that’s near seamless in operation. Opt for the 180hp diesel and all-wheel drive becomes standard, which gives 47.1mpg combined economy compared to 53.3mpg from the 150hp diesel with manual. For those seeking increased performance, the D240 E-Pace provides 40.9mpg along with 0-62mph in 7.4 seconds to edge ahead of most rivals. The E-Pace’s arrangement is much more intuitive and easier to use, so more of this please Jaguar. Take the petrol route and, again, you have a selection of 2.0-litre turbocharged motors with a choice of 200, 250- or 300hp. Each comes with four-wheel drive and an automatic gearbox, so it’s down to how quickly you want to accelerate versus what you deem acceptable fuel consumption. We’d opt for the mid-level P250 as the best balance between the two competing camps. However, with the petrol engines, none feel particularly smooth or refined, especially when pressed to deliver their best performance. The diesels, on the other hand, are quiet and unobtrusive. It’s what the company and many drivers have been asking for and now it’s here. 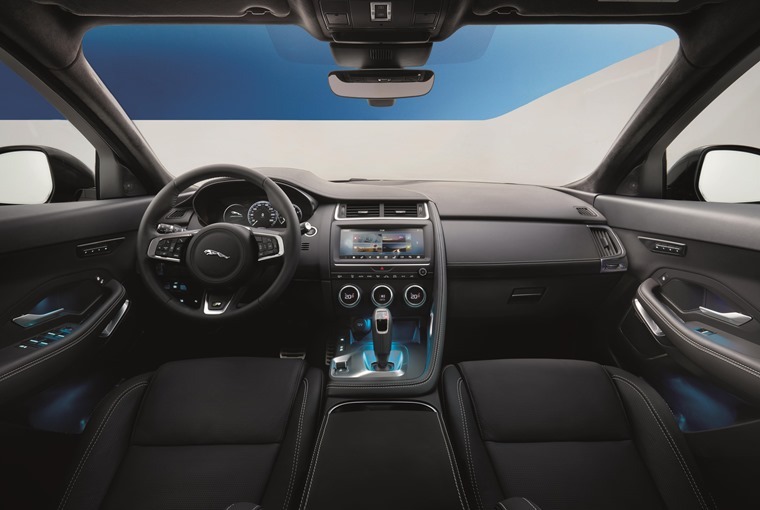 From the inside of the E-Pace, you’re well insulated from wind and road noise and the cabin offers a very generous amount of space for those in the front seats. The driver can raise the chair to give that commanding off-roader feel and help with forward and side vision. All but the base models have electric seat adjustment and the dash has clearly been influenced by Audi in the way it’s laid out. This means large rotary controls for the ventilation and clear dials for the main instruments. 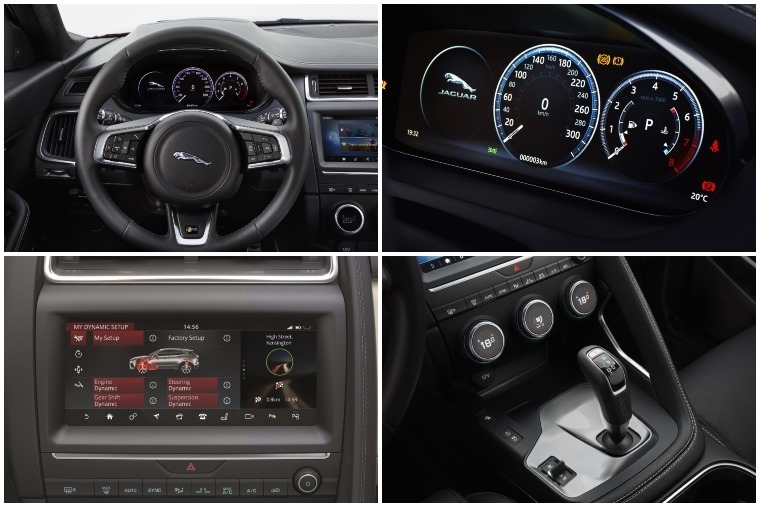 The infotainment is easily navigated too, though we’re less keen on the JaguarDrive toggle that looks like an afterthought, even if it does let you choose between Normal, Eco, Dynamic and Winter driving modes. The gear lever deserves a special mention as it’s a traditional stick rather than the rotary item that rises out of the console as it does on other Jaguars. The E-Pace’s arrangement is much more intuitive and easier to use, so more of this please Jaguar. Move to the back seats and there’s decent space by the standards of this class, but a Volvo XC40 is better at accommodating taller adults. It also feels a little claustrophobic back there because of the upswept window line. Check out the boot and it doesn’t quite live up to its headline figure of 577-litres as the shape is not as regular as some competitors. Still, you shouldn’t struggle to find room for most needs and the rear seats are quick and simple to fold almost flat. It’s easy to overlook such foibles as the boot not being quite as roomy as the numbers suggest as this, after all, is a compact Jaguar SUV. It’s what the company and many drivers have been asking for and now it’s here. It’s a pity it doesn’t quite deliver on the handling front that is such an impressive part of the F-Pace’s make-up, but that’s not likely to stop the E-Pace becoming the firm’s number one seller. 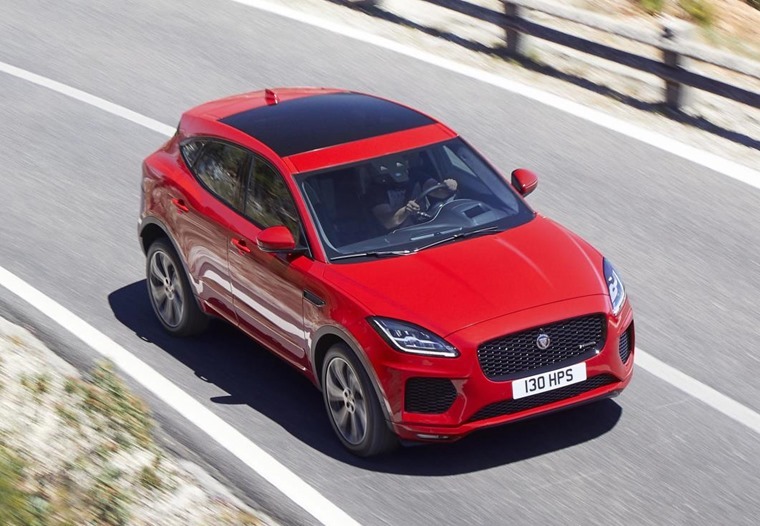 A small SUV offering from Jaguar, similar in size to the all-electric I-Pace. Jaguar expect this to become the most popular model as a luxury option in the popular segment. With a generous amount of space, virtually no wind or road noise and Audi-inspired cabin layout, it’s a comfortable car to drive. Rear space is acceptable albeit claustrophobic due to the upswept window line. The E-Pace remains smooth and unruffled on the road, riding and steering well with less body roll than competitors. There’s plenty of space for both front-seat and rear passengers, with the boot offering 577-litres. The rear seats also fold almost flat. The 180hp diesel gives 47.1mpg combined economy compared to 53.3mpg from the 150hp diesel with manual. 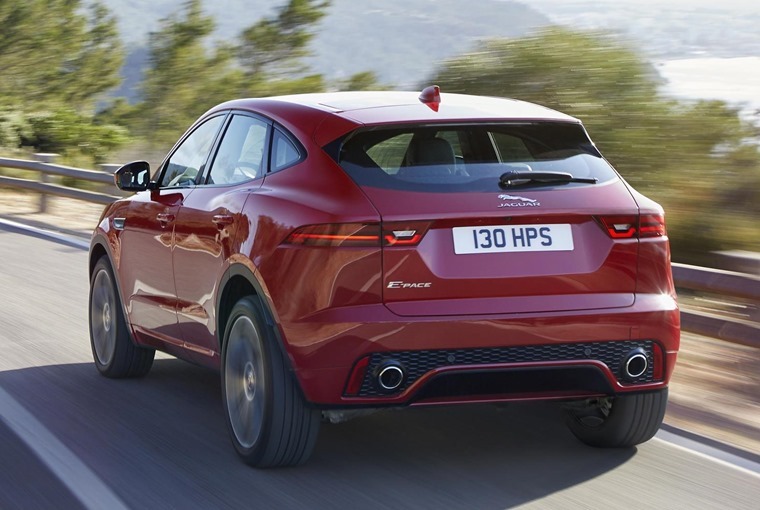 For those seeking increased performance, the D240 E-Pace provides 40.9mpg along with 0-62mph in 7.4 seconds to edge ahead of most rivals.